The World Trade Organization ruled Monday that Boeing received an illegal subsidy from Washington state to build its new 777X jetliner there, and the U.S. has 90 days to revoke the subsidy. The ruling was the latest round in the rivalry between plane builders Boeing (BA) and Airbus (EADSF), which both declared the ruling a victory. Airbus, which is built by a European Union consortium, called it a "knockout blow" to Boeing. Boeing said the WTO "rejected virtually all of the European Union's challenges." However, legal experts and aerospace executives expect little, if anything, to change in the battle between Boeing and Airbus. which was approved in 2013. That package extended existing tax breaks from 2024 to 2040. The tax break, along with a revised labor agreement with its workers, was key to Boeing's decision to assemble the 777X jet and build its new carbon fiber composite wings in Washington. That jet will be delivered in 2020. The E.U. 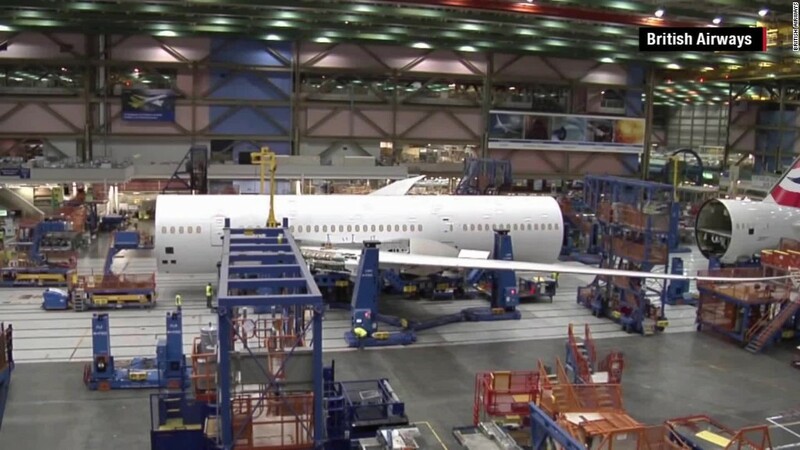 filed suit in December 2014 and Monday's ruling declared part of tax break package a subsidy prohibited under WTO rules, and ordered Boeing and Washington state to withdraw the tax incentives within 90 days. Both sides agree that is unlikely to happen. "After any appeal," said Michael Luttig, Boeing's general counsel, "we fully expect Boeing to preserve every aspect of the Washington state incentives, including the 777X revenue tax rate." Fabrice Brégier, chief executive of Airbus's jetliner unit, said, "I have little faith in the U.S. compliance with the WTO rulings." The office of the governor of Washington state did not immediately respond to a request for comment. Claims of illegal subsidies between the two airplane manufacturers date back to 2004 when the U.S. claimed Airbus was receiving illegal subsidies from European governments. Europe counter sued in 2005, alleging Defense Department and NASA projects with Boeing supported its 787 development and represented a similar illegal subsidy. The prospect of sanctions against Airbus under earlier rulings has potentially shifted with the election of businessman Donald Trump as U.S. president. President-elect Trump railed against what he called an unfair trade environment for the U.S. and its businesses. Airbus Group chief executive Tom Enders called the back and forth WTO disputes "ridiculous" and said a new set of globally applicable rules were warranted to address state support of airplane manufacturing. National, state and local support of aerospace industries is typically the rule, not the exception. Alabama gave Airbus a $158 million financial support package to establish a final assembly line for its single-aisle jets in Mobile along the Gulf Coast. The Quebec government earlier this year infused $1 billion in Canadian plane maker Bombardier for a stake in its struggling CSeries jetliner program. China has wholly supported its domestic airliner business to eventually compete with the established players.